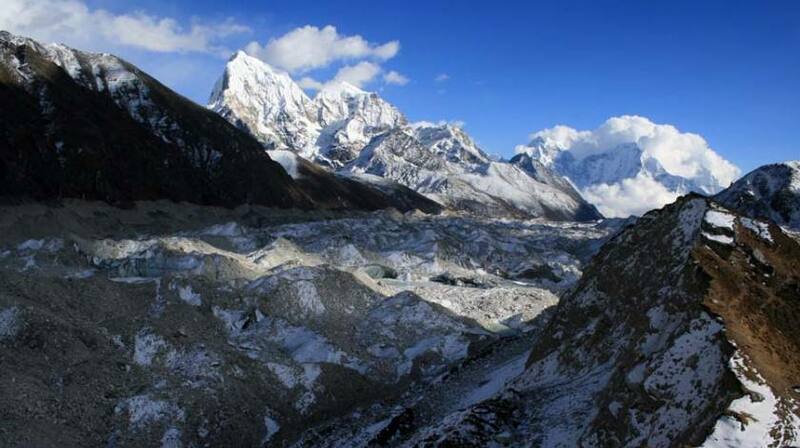 Experience thrilling walk and mountain views through glaciers! 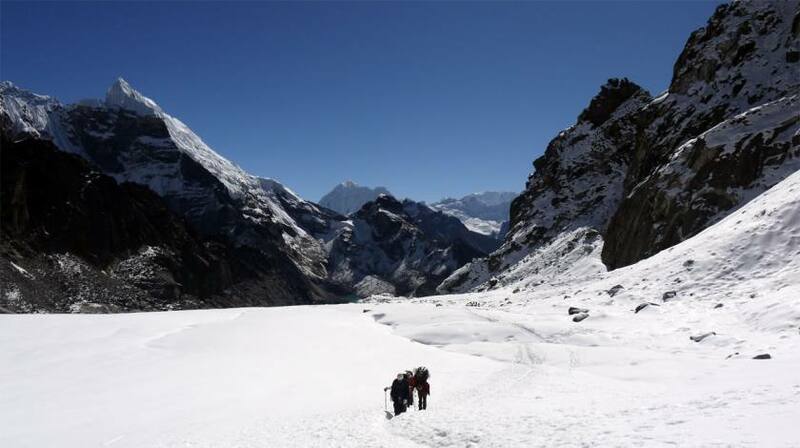 Experience thrilling walk through glaciers! 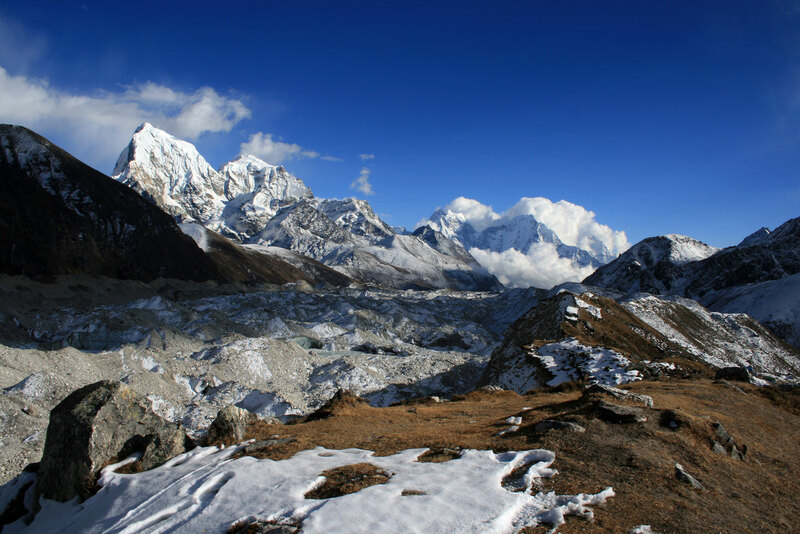 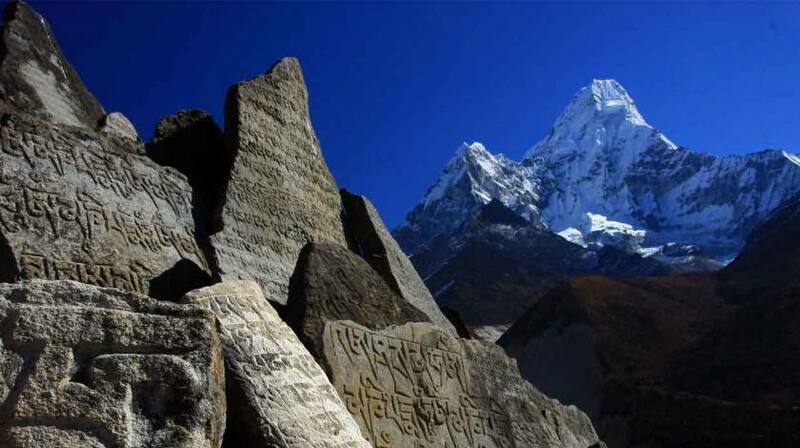 Everest Cho La Pass Trekking is an adventurous journey into the land of mystic Everest region to witness one of the never- forgettable sight of the dramatic beauty of nature and mountains. 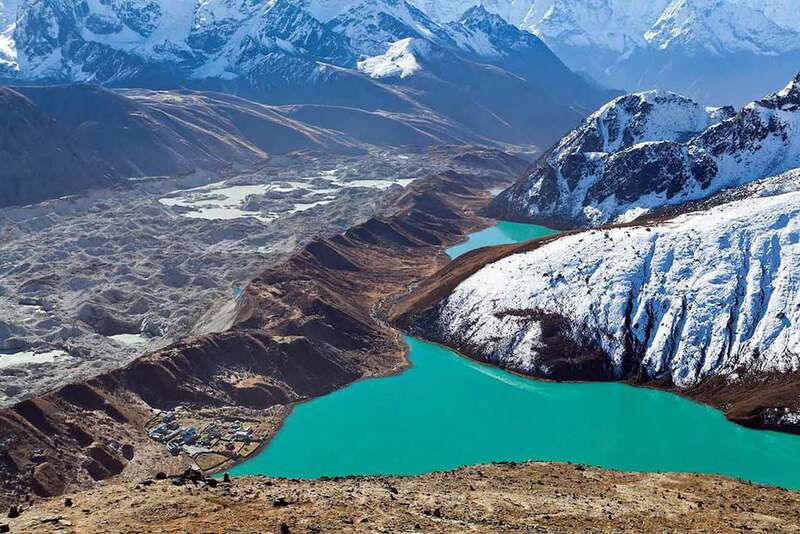 The view from Gokyo Peak is something you would always remember! 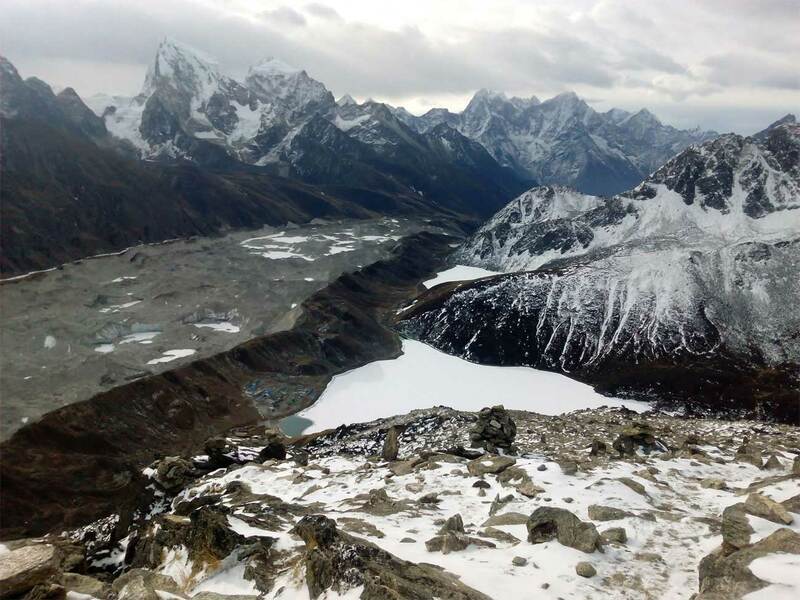 Cho La Pass trekking provides a nice opportunity to connect and explore two popular single routes of Everest trekking — Base Camp and Gokyo Valley —through glacier walks, icy terrain, steep climbs and descends via Cho La Pass at 5368m. 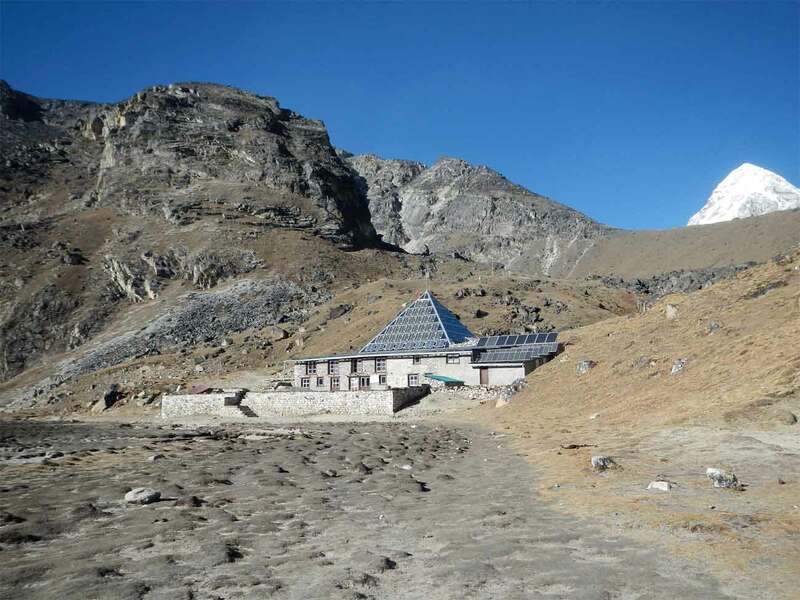 Cho La Pass trek is regarded as one of the adventurous trails of Everest offering pleasant yet strenuous walk (at times) with a grand view of several 6000-8000 meters peaks including Mt. 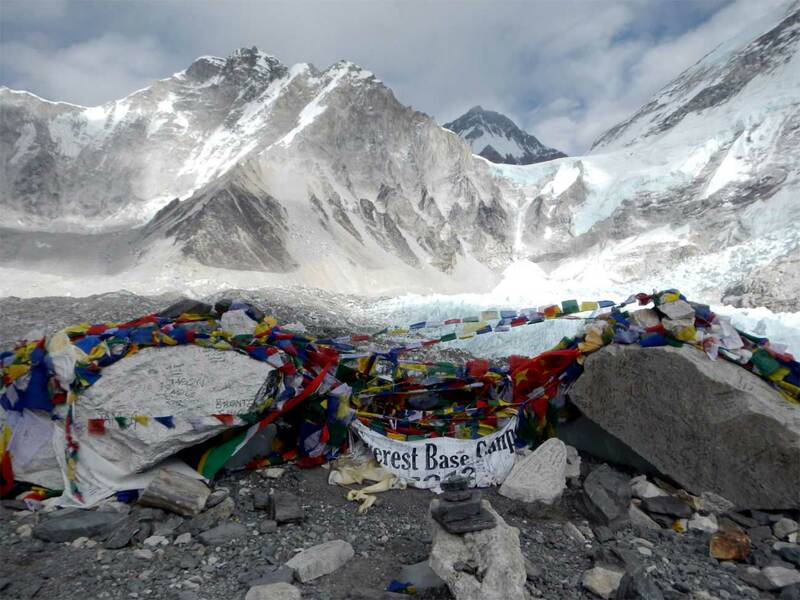 Everest from several popular viewpoints like Gokyo Peak and Kala Patthar. 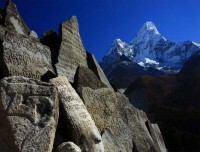 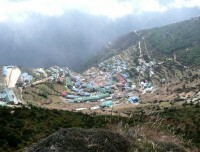 We will also visit Everest Base Camp. 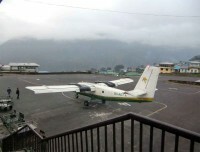 Trekking to Cho La Pass begins with a scenic flight from Kathmandu to Tenzing-Hillary Airport of Lukla and continues downhill walk towards first overnight teahouse of Phakding and later climb steep uphill towards Namche Bazaar on following day, where we rest and acclimatize for a day. 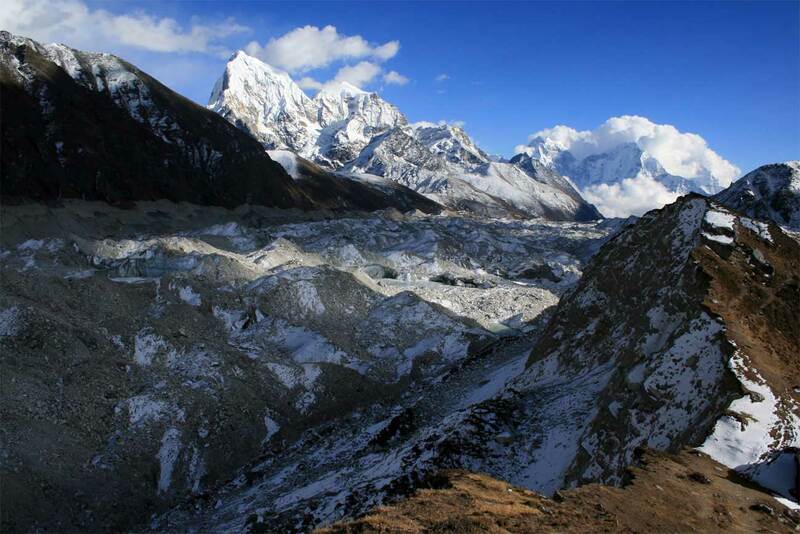 As the trail goes uphill, the change of vegetation and weather can be felt. 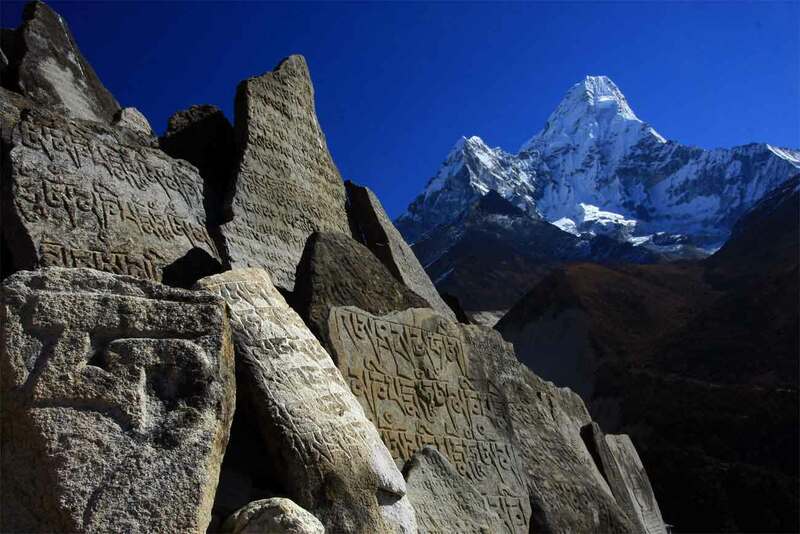 We follow the classic Everest Base Camp Trekking route and continue to Dingboche village via Tyangboche Monastery, where we again rest and acclimatize for a day and visit Chhukung valley. The trail ascends to Lobuche and further to Gorakshep, the last tea houses on Base Camp front. We climb Kala Patthar for the sunrise and then start to retrace our path until Lobuche and change course towards Dzongla to enter the Gokyo Valley via Cho La Pass. 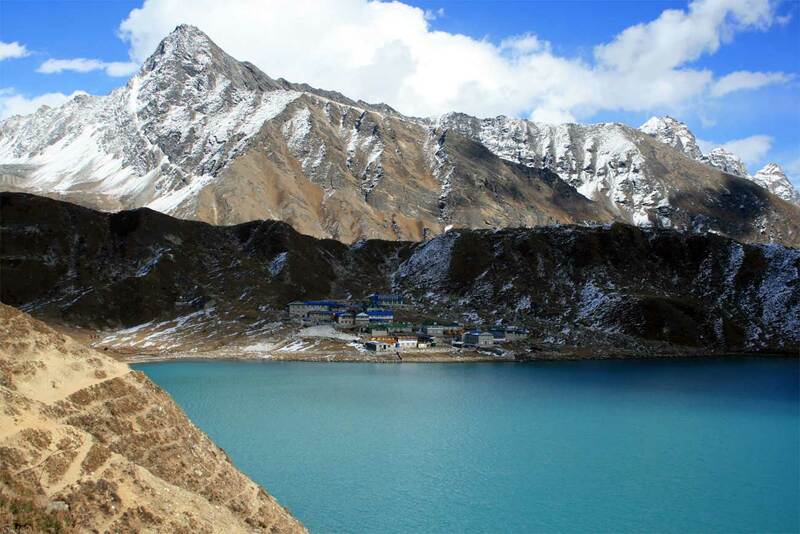 Gokyo is known as the Valley of sacred lakes and awesome mountain viewpoints. 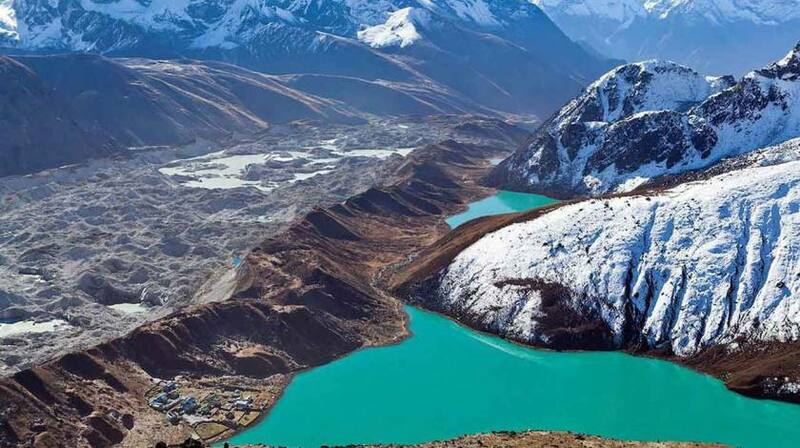 Gokyo Lake — also known as Third Lake, out of six lakes around the vicinity is the most sacred place and where the local tea houses are. We will visit five lakes; climb Gokyo-Ri Peak to witness the grand sunrise atop of Mt. 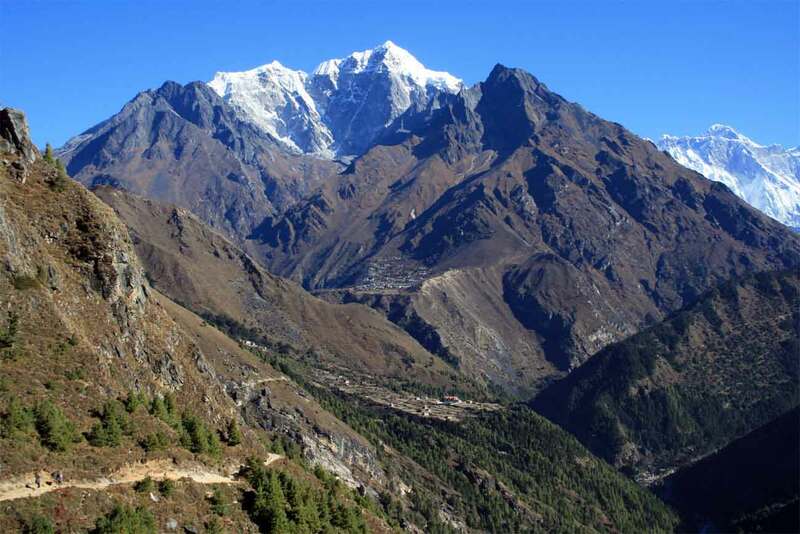 Everest (again) and get ready for descend towards beautiful Khumjung village, further to Namchee Bazaar and finally to Lukla. 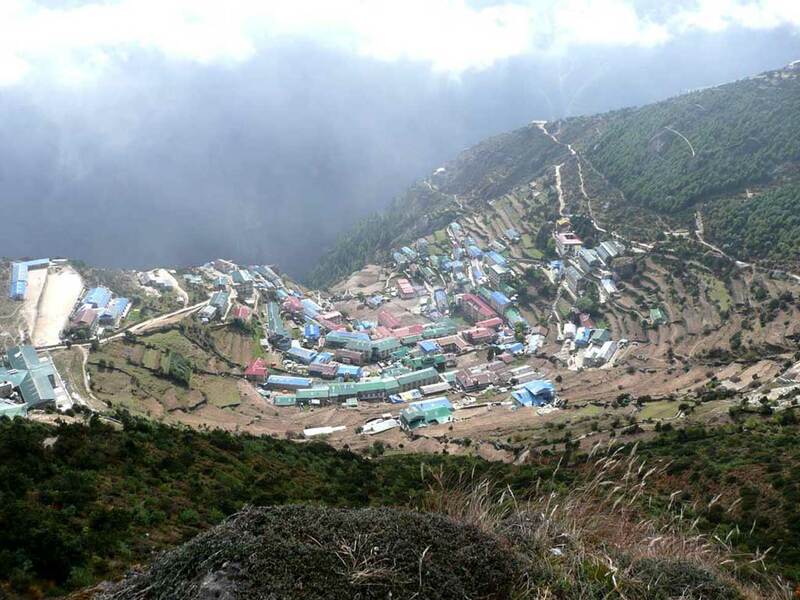 Walking past the Sherpa villages and Buddhist monasteries on way back, you will turn your head often to make sure that you are still seeing the white peaks until you catch a flight to Kathmandu and see it for last time from the plane.